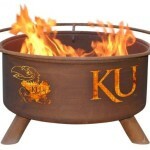 Patina Products has your back Jayhawks fans with this Kansas Jayhawks fire pit that’s perfect for tailgating. 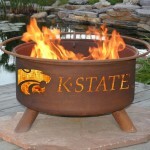 Wildcats fans will love this Patina Products Kansas State Wildcats Fire Pit.This hot new fire pit proudly displays the Kansas State school logo and Wildcat mascot on its sides. 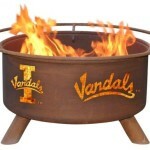 Patina Fire Pits 31 Inch University of Idaho Fire Pit has Vandals fans all fired up and for good reason. 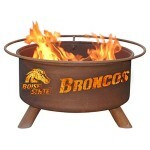 With the school logos cut out and outlined and glowing in the fire school spirits are soaring. 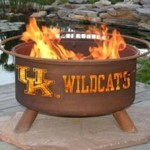 Kentucky Wildcats are getting fired up over the University of Kentucky Patina Fire Pit featuring Kentucky school logos carved into the sides. 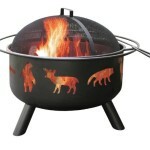 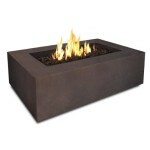 This Patina Fire Pit is for all you Mizzou Tigers out there. 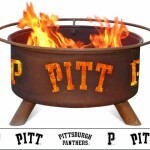 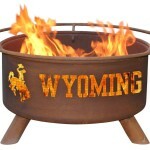 Represent the University Of Missouri proudly with this Patina Fire Pit and let your school spirit shine. 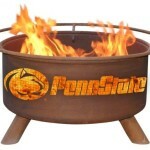 This Patina Fire Pit features the official Nittany Lion and Penn State school cutouts on its sides and is sure to get your school spirit fired up.